Do you suffer neck pain? Neck pain can be one of the most frustrating and debilitating types of pain there is. Left untreated neck pain tends to reoccur frequently. once you have had it for a while it can cause your shoulder and back to compensate and get tight and painful as well. It can limit your sleep, your exercise and your work. When neck pain is treated correctly you should get a fast resolution to your pain, it should stay gone for good and you will be able to get back to loving life, doing all the activities that you couldn’t before due to a fear of your neck pain! If you have been putting up with reoccurring neck pain and want a fast, long term solution – read on! 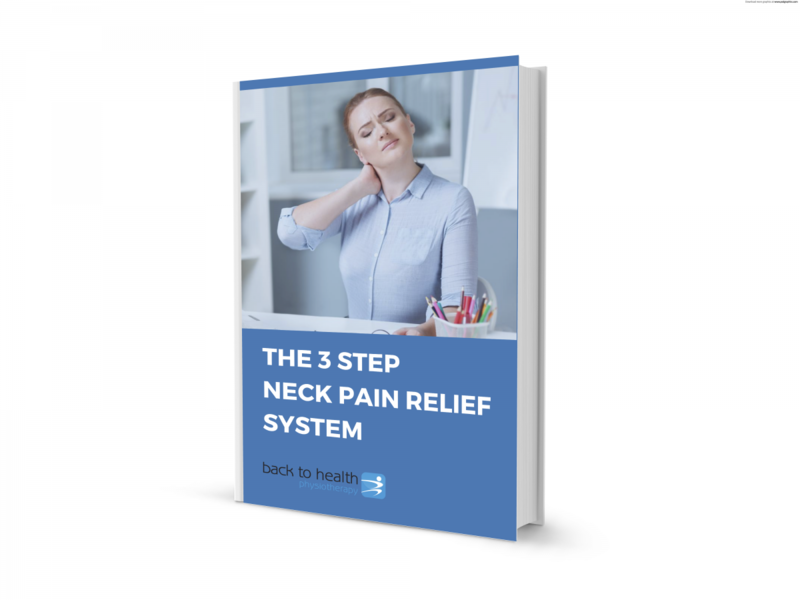 We have developed a fantastic “3 Step Neck Pain Relief System” Its an easy to follow guide to the 3 key steps needed to get rid of your neck pain fast. It covers the most important exercises and strategies to resolve your neck pain for good. To get a copy emailed to you click below and we will send it to you free!